Linda Robinson is a graduate of The Illinois School of Professional Psychology. She holds a license in the State of Illinois as a Licensed Clinical Professional Counselor, is board certified via The National Board of Certified Counselors, and holds a Distance Credentialed Counselor Certification (DCC) from the Center for Credentialing and Education. Additionally, she is a member of the American Counseling Association. 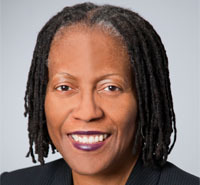 Dr. Robinson's clinical experience includes 25 years working in the field of community mental health providing both direct counseling services and administrative direction to various clinical programs. Dr. Robinson has served as Assistant Director of the child and adolescent program for The Community Mental Health Council in Chicago. She has also held the position of Administrative Program Director at The Bobby E. Wright Mental Health Center in Chicago where she provided administrative direction to their adult programs for the mentally ill. Her special interests include cultural competence and issues of bilingualism in the counseling setting. Robinson, L. (2004) African-American English: Its History and Personal Impact. Heartbeat Connections Show, WKKC (Kennedy King College Radio). Chicago, Illinois. Prior to becoming a professor in the academic world, I worked in large community mental health clinics where I often hired and supervised young counselors who had recently received their masters degree in counseling or psychology. Many were quite versed in the basic skills of assessment and theory but were often challenged relative to the real world side of service delivery. Looking back at these training experiences, I have developed a teaching philosophy that incorporates the practical experience within each course that I instruct. In this way, course topics become "alive" facilitating the transition from academic study to real world application. I believe that psychology should be practiced in a professional and ethical manner. I believe that therapeutic theory and corresponding techniques should be applied taking into consideration an individual's unique psychological and cultural constitution. Each individual possess dynamic differences. Therefore, therapeutic application should not be done via a "one size fits all" model. My answer is simply stated: To help reduce subjective distress and suffering in others and thereby improve their overall quality of life. Reflect upon what you learn, ask thoughtful questions of your professors, develop a sense of appreciation for others who a different than you, learn to empathize, study hard and still find time to take care of yourself.